Personally, I love this kind of news in which big and known companies use crowdsourcing to make their products closer to the people. The news in question is the crowdsourcing initiative that the toy company Hasbro launched a couple of months ago. Hasbro is, according to Wikipedia, the largest producer of toys in the world. Hasbro has already tried crowdsourcing for some of their most famous games like Scrabble. The time has come for another classic: Monopoly. It happens in all games. There two kind of rules: the official ones and the “in-house rules”: those rules that don’t appear written anywhere and that are different depending on the owner of the game. Both different, but both sacred. The case of Monopoly is not an exception : “You can’t start buying houses if you have not given at least one lap”, “if you get the parking, you can pick up all the money that others have paid in taxes and fines”… and many others like these. 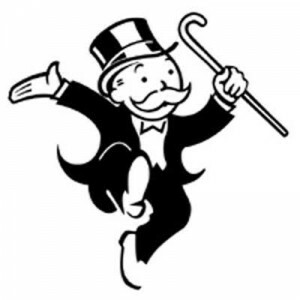 As explained on their website , Hasbro wants to bring even more closer the game of Monopoly to its users and, through a crowdopinion initiative,aims to add some of those “in-house” rules to the official ones. First, Hasbro allowed his users to post in the company Facebook page the “in-house” rules they normally use. Among all these, the company chose 10. Those rules were posted again in the company Facebook page, allowing the game users to debate about them to see which where the most popular ones. This debate was always moderated by a Hasbro worker, through “Mr. Monopoly” Facebook user. Once the most popular were chosen, Hasbro has decided to added the those rules in the official instructions, with the official rules. This change will be effective in the Monopoly games sold from 2015. Demonstrates the need for a user community around the company. This community will be the key of the crowdsourcing campaign success. Clearly explains how to use an existing technology infrastructure (Facebook ) to carry out the initiative. It shows how the presence of a moderator when it comes to initiatives in which the interaction between people occurs is critical (in this case, the interaction was moderated by “Mr. Monopoly”, a Facebook user, as indicated in the press release ) . Demonstrates how crowdsourcing can be used to bring a product closer to consumers, even allowing them to change its original appearance. At the end of the day, consumers are the ones who use it. The new in-house rules, that will be official, have been published.